Many options are available, and they are tailored to your specific requirements. If you need a replacement tooth while the implants are healing, temporary removable teeth or a temporary bridge can be made. If all of your teeth are missing, your dentist can usually modify your present complete denture or make you a new temporary denture. If you would prefer non-removable teeth during the healing phase, temporary transitional implants usually can be placed along with the permanent implants, and temporary teeth may be made and inserted the same day. Depending on your particular situation, some implants can be placed and “loaded” immediately. This means a temporary or permanent replacement tooth can be placed on, or shortly after, the day the implant is placed. The replacement teeth are usually attached to the implant when adequate healing has occurred and your jaw bone is firmly fused to the implant. Depending on a variety of factors, it may be possible to begin this phase of your treatment immediately or shortly after implant placement. We will review the most appropriate treatment sequence and timing for your particular situation. Generally, four months of healing is required. In general, once your implants are placed, you can expect your tooth replacement treatment to be completed anywhere from 4 to 6 months. 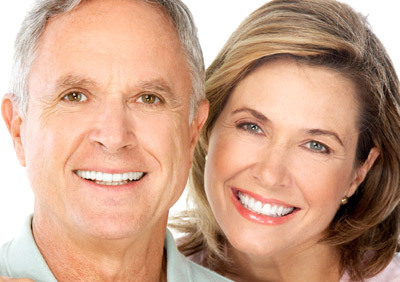 Before treatment begins, you will receive an accurate estimate of all the expenses involved in placing the implants. Your restorative dentist will charge you separately for crowns, dentures, or anything else that will be placed over the implants, including temporary restorations. Periodic maintenance such as hygiene visits, tissue conditioners, denture relines and other repairs will also incur additional charges. When different doctors are involved in your treatment, you will be charged separately for their services. We will assist you in estimating what your actual payments will be after we evaluate your insurance coverage or other third party payments. Also, you should consider your personal financial investment in each treatment option as some insurance companies provide limited or no coverage. Each patient is unique, and it is not possible for us to discuss every option and every contingency for treatment outcome. This discussion is intended to help you understand the general treatment options available to you. If your specific treatment options are not clear, please ask the docotr. We will be happy to answer any questions you have about your dental care.